The public can access the filing and authorization records of the entities registered in the state of Montana on the Business registry of the Montana Secretary of State. While those records are available in the physical office of the Secretary of State, you can have more convenience when you use the online tool facilitated by the office. The registry serves as storage of information about various business entities that are registered in the state. Prime examples are Corporations, Limited Liability Partnerships, Limited Companies, Limited Liability Companies and Limited Partnership. Individuals who wish to use the online Montana business search tool must know the name of the Business Entity they want to know about. Users can surely find convenience in searching for a registered entity in the state. 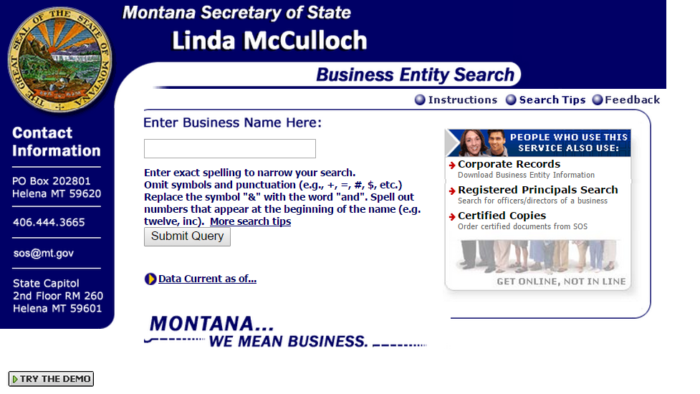 Be guided by the following instructions on using the Montana Secretary of State business entity search tool so you can get the right information from it. You can start by clicking here the link for the search page for registered entities in Montana. Fill the empty field with the business name then click “Submit Query” For this instance, we use Semi tool as the business name. You can then view the list of entities based on the name you are searching for. On the result page, you can only a few details of the entity such as location and status. If you want to learn more about the business entity, click its name. Secretary of State MT: What to Know About? office, the Secretary of State of Montana oversees public affairs in the state. Lind McClluch currently holds this particular office. The office is also classified as an executive branch of the government. The Secretary of State of Montana is the administrator of school trust lands and a member of the Montana Board of Land Commissioners. The Great Seal of the State as well as public archives and records are all kept in this office. The office however has five divisions; namely the Business Services Division, Election and Government Services, Administrative Rules Service Division, Records Management Bureau as well as Certifications and Notaries Division. 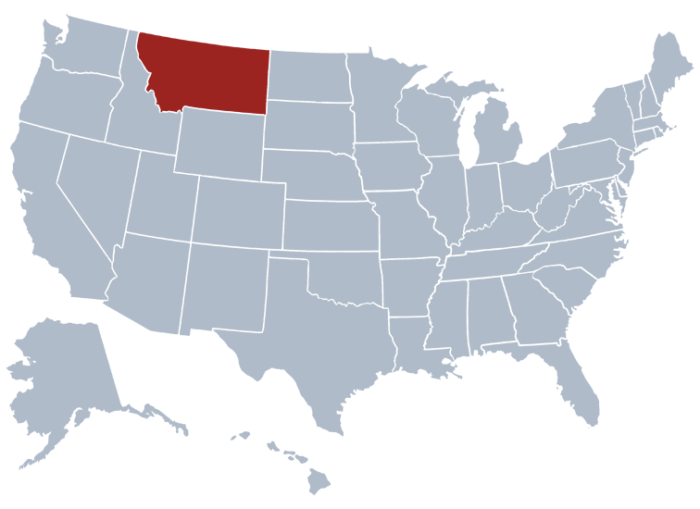 The first division mentioned is associated with the Montana business search tool online.